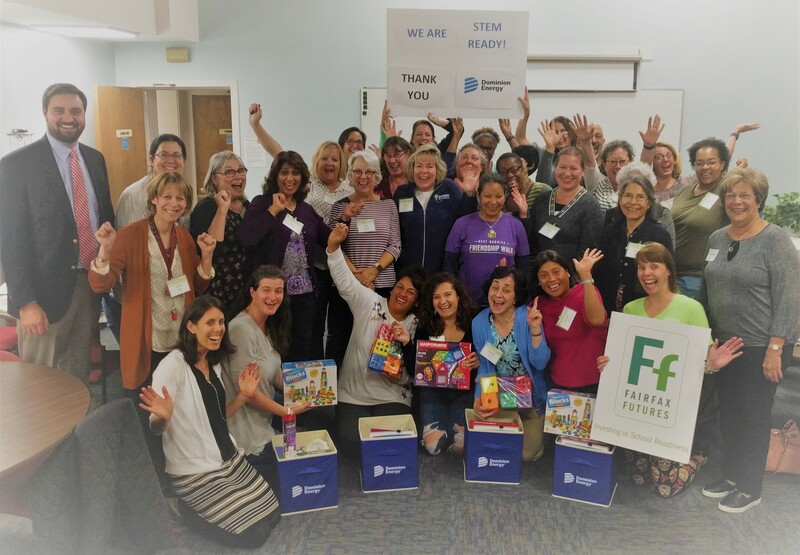 In November, Fairfax Futures completed its highly successful STEM Ready Certificate Program that combines research and real-world classroom experience. 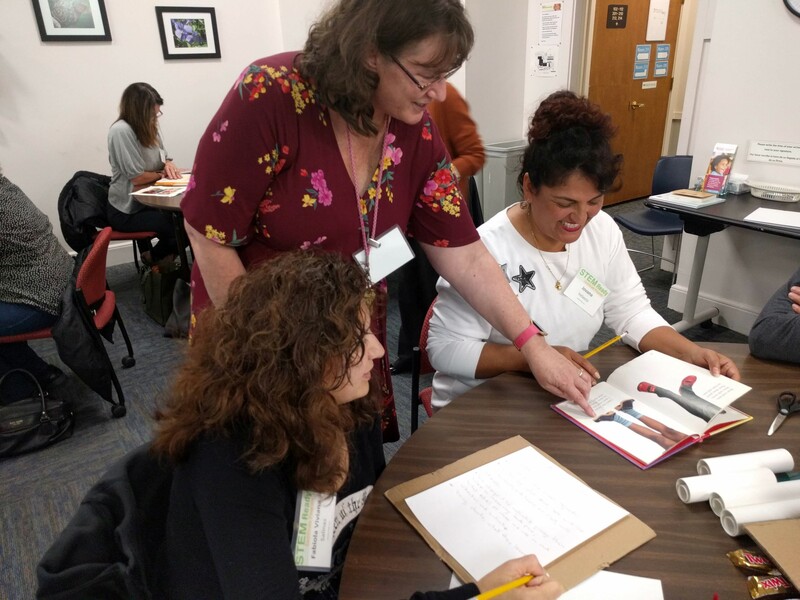 The seven-week course, led by instructors from the Fairfax County Office for Children’s Institute for Early Learning, taught an engaged group of early childhood educators how to apply developmentally appropriate science, technology, engineering and math (STEM) activities in their preschool classrooms. The teachings and materials were targeted for children ages 3, 4 and 5 years of age. Fairfax Futures created a series of short videos following each course. Try these in your own child care setting or at home with your kids! Can You Build With Bubbles? What Makes a House Stable? Can You Build a Tall Tower? How Would You Build a Bridge? 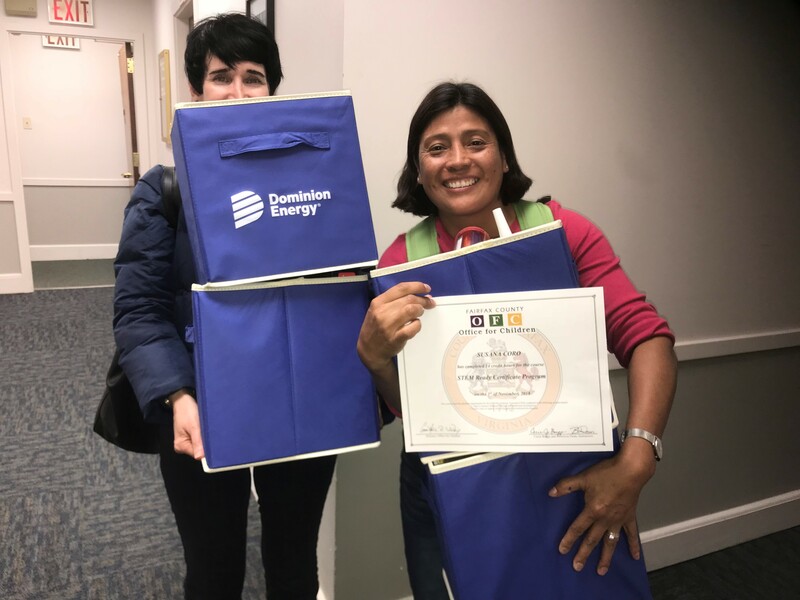 Fairfax Futures thanks the Dominion Energy Charitable Foundation for its generous grant to support the STEM Ready Certificate Program. Together we are cultivating the next generation of scientific thinkers!